When your tennis shoes wear out, you go out and buy a new pair. Pretty simple, right? Even with all the styles out there these days, by this point you’re probably pretty accustomed to what you like and you just go for that, especially if you’re not a huge fan of spending hours making decisions when you go shopping. So when your old car wears out, why is it so hard to find a new one? If you knew what you liked about your old car, why not just get a newer model of the same vehicle? Well, for starters, there’s not much risk you’d buy a pair of tennis shoes that would put you in debt. Your tennis shoes also don’t have thousands of combined parts that can wear out and cost you hundreds or thousands of dollars in repairs. And you also don’t depend on your tennis shoes to carry you a few hundred miles to see your sister and her new baby. So it’s understandable that such a decision would cause a fair amount of stress. There’s no one “Shop New Car” guide that can give you all the answers! Like anything else, however, when you take a moment to breathe, relax, and think critically through the entire decision-making process, you’ll find yourself at the end of it driving away in the right new car for you. Everyone’s budget is different, so here’s where “keeping up with the Joneses” really doesn’t work. It’s not worth going into thousands of dollars of debt just to impress your neighbor. To help you get an idea of how much you can afford, check online for the “How much can I afford?” calculators. You’ll find quite a few of them, so go ahead and play around to see if they all give you comparable results. These calculators will help you figure out total cost when taking into consideration insurance, interest, and a probable down payment. When it comes to calculating these costs, don’t forget the 20/4/10 rule to help keep your finances in shape. That is, put down at least 20% of the car’s cost, set up financing to be for no longer than four years, and make sure that whatever you spend on the vehicle monthly is 10% or less of your gross income. Following this rule will help you pay off the car more quickly while also having more manageable monthly payments. It’ll also help take care of your finances if you’re hit with any unexpected expenses. After you’ve made these calculations, you’ll want to look at new car reports that will let you know how various cars are rated on things like owner satisfaction, fuel economy, predicted reliability and owner cost. Whichever factors are most relevant to you, focus on those and see how your desired car matches the competition. If you look only at cars with an average rating or higher, that should definitely help cut down on the amount of choices you now have. After checking reports, the next step is to check trusted ratings – for example the TCC Ratings from The Car Connection. 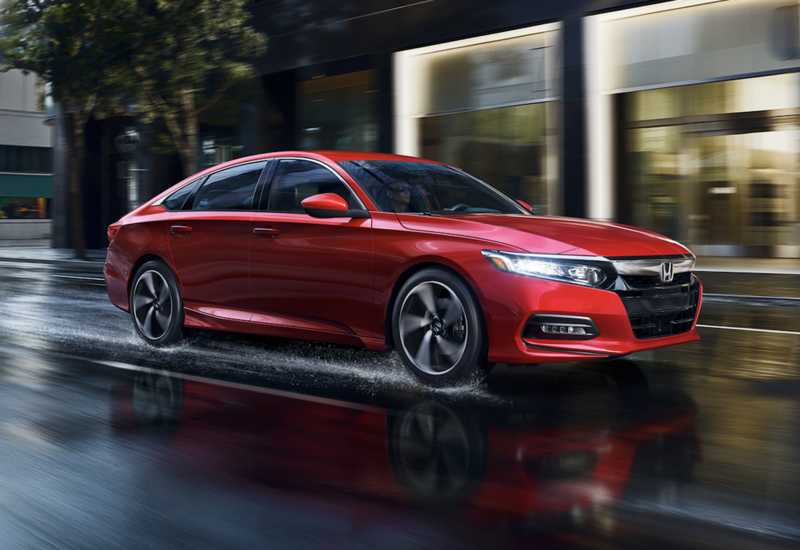 For this rating, The Car Connection’s automotive experts look at safety, performance and styling to give a score on a scale from 0 to 10. Looking at which cars on your list are rated high on this scale will narrow down your choices even more, making you ready for step #4. Regardless of the exact price you pay for your new car, it’s important to understand that with time you’ll also be paying for taxes and fees, financing, depreciation, insurance, and maintenance. Depreciation will give you the strongest hit the first year you own the car. Once you have figured out how much it’ll truly cost to own your next car, you’ll be ready for the last step before test driving. In order to make sure you’re getting the best deal possible, you’ll want to have an idea of a fair purchase price. Be sure to look at Kelley Blue Book’s Fair Purchase Price, along with the manufacturer’s suggested retail price (MSRP) and invoice price. You’ll want to know what’s a fair market price in your area, as depending on where you live the car could cost a little more or a little less than in other areas nearby. Once you have all this information, check out the dealerships and test drive the cars you’re interested in purchasing. Buying a new car can be a tedious process, but with such a heavy investment for the next few years, it’s worth taking the time you need to make the right decision.